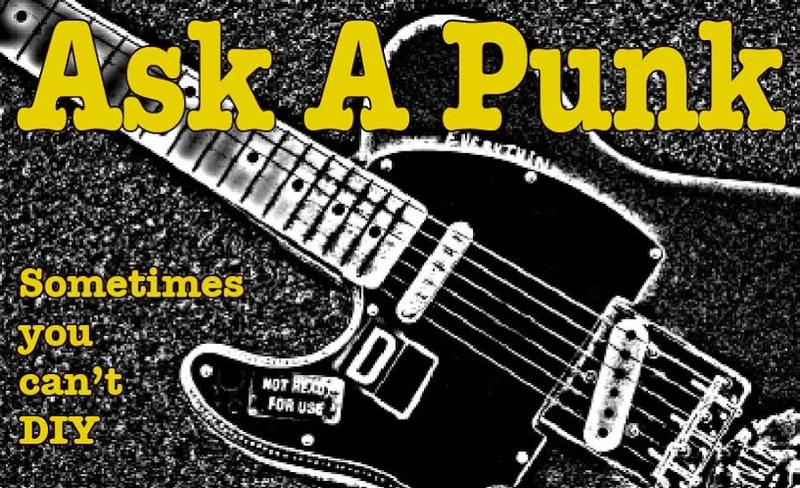 Ask A Punk: Ask A Punk - the relaunch. Ask A Punk - the relaunch. Yes people. The hiatus is now officially over. Ask A Punk will re-start the weekly advice posts very soon - so please start sending in those questions again. During the time I took off from the site I was pleasantly surprised by the continued emails I received from regular readers (from all around the world) asking for me to bring back the weekly column... I had looked at my site "stats" plenty of times, I knew just how big, or non-big, my readership was, I had no idea how loyal they were. It was a nice, and humbling, thing to discover, and it made me want to get writing again. 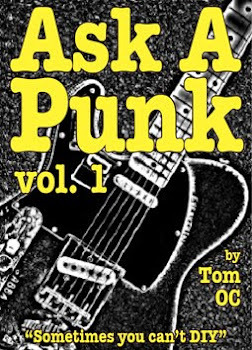 I also spent some time learning about eBook publishing and am happy to announce that I've just uploaded "Ask A Punk volume 1" on smashwords.com. This eBook compiles the best questions and answers from the first year of this website in one convenient, low-priced, package. Download it today FOR FREE using the coupon code: JY34H ...but if you do, please give us a review or some kind of useful feedback. While you're waiting for the new weekly postings to start, please check out the newly freshened up website. I have added a few new features and pages that will be filling up with content in the coming days. I have also learned a few lessons about the downside of being an "internet island" so you'll notice a new "link role" at the bottom of the page... this will be growing on a weekly basis as well, so if you're a friend of AAP and would like to swap links, let me know.